Our neighborhood conveniences make everyday living easier, such as our 24-hour security, private mail service, library and recycling center, everyone enjoys having more time to spend pursuing their favorite activities at the beach, playing golf on our championship Arnold Palmer golf course, or on the tennis courts. The only private neighborhood in Ponte Vedra Beach, Florida, with just 555 homes and home sites, The Plantation offers home buyers the opportunity to select the style and size of house that is right for their family. This impeccably manicured gated enclave offers you every choice of home ranging from magnificent estate homes to elegant no-maintenance garden homes. 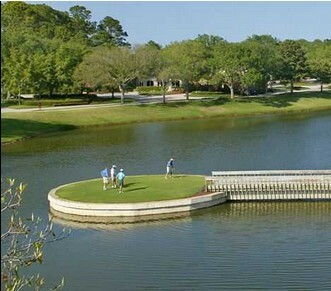 Or, if you have always dreamed of building your own home, beautiful golf course and waterfront sites are available. Whatever selection you make, all owners in The Plantation benefit from the equity arrangement as it insures every owner has an equal voice in the important decisions facing the Club. Ownership is automatic membership to all the amenities. If a luxury lifestyle and a sense of community are important to your family, we think you will agree that The Plantation is the right choice for you and the best overall value in Ponte Vedra Beach. 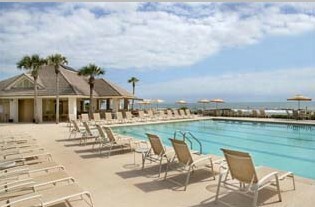 Ponte Vedra Beach is a sophisticated, but relaxed beach town attracting visitors from all over the world. Only The Plantation offers owners a private club environment that is not open to the public or hotel guests. So, no matter where you’re moving from, we’re convinced you will find every day a happy day when you move into The Plantation.